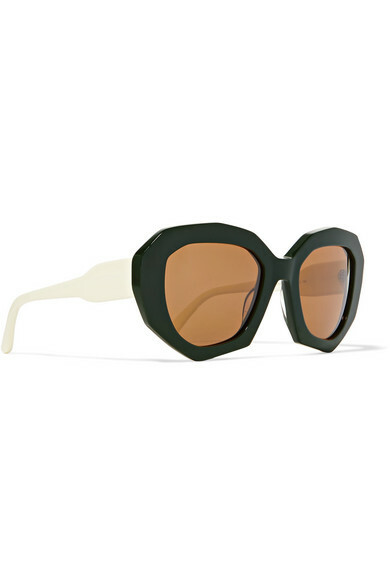 Marni's sunglasses hark back to the '60s - it's easy to picture a young Edie Sedgwick wearing them when ducking in and out of The Chelsea Hotel. 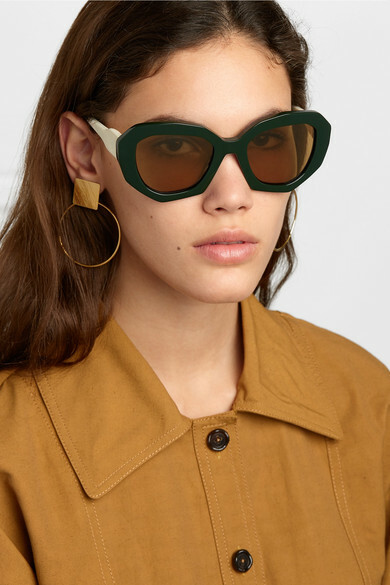 Made in Italy from forest-green acetate, they're detailed with stark white arms and fitted with classic brown lenses offering 100% UV protection. 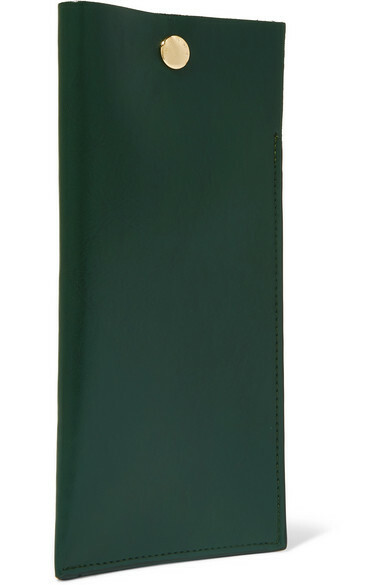 Shown here with: Marni Dress, Isabel Marant Earrings.